1. Floor and Ceiling Runners — (Not Shown) Channel shaped, fabricated from min 0.0329 in. thick (bare metal thickness) No. 20 gauge corrosion-protected steel, that provide a sound structural connection between steel studs and adjacent assemblies such as floor, ceiling and/or other walls. Attached to floor and ceiling assemblies with steel fasteners spaced not greater than 24 in. OC. 2. Steel Studs — Corrosion protected steel studs, min 3-1/2 in. wide, min No. 20 MSG (0.0329 in. thick bare metal thickness), cold formed, designed in accordance with the current edition of the Specification for the Design of Cold-Formed Steel Structural Members by the American Iron and Steel Institute. All design details enhancing the structural integrity of the wall assembly, including the axial design load of the studs, shall be as specified by the steel stud designer and/or producer, and shall meet the requirements of all applicable local agencies. The max stud spacing of wall assemblies shall not exceed 24 in. OC. Studs attached to floor and ceiling runners with 1/2 in. long Type S-12 steel screws on both sides of the studs or by welded or bolted connections designed in accordance with AISI specifications. 3. Gypsum Board* — Any 5/8 in. thick UL Classified Gypsum Board that is eligible for use in Design Nos. L501, G512 or U305. Nom 5/8 in. thick, 4 ft wide, applied vertically in two layers. Base layer attached to studs with 1 in. long Type S-12 steel screws spaced a max of 24 in. OC along the vertical edges. Face layer attached to the studs with 1-5/8 in. long Type S-12 steel screws spaced a max 12 in. OC along the vertical edges. Joints exposed or covered with tape and compound. 3B. Wall and Partition Facings and Accessories* — (As an alternate to Items 3 and 3A) — Nominal 5/8 in. thick, 4 ft wide panels, secured as described in Item 3. 3C. Gypsum Board* — (As an alternate to 5/8 in. Type FSW in Item 3) - Nom. 5/16 in. thick gypsum panels applied vertically. Horizontal joints on the same side need not be staggered. Two layers of 5/16 in. for every single layer of 5/8 in. gypsum board described in Item 3. Inner layer of each double 5/16 in. layer attached with fasteners, as described in item 3, spaced 24 in. OC. Outer layer of each double 5/16 in. layer attached per Item 3. 4. Furring Channels — 7/8 in. deep formed of 25 MSG galv steel, spaced 24 in. OC perpendicular to the studs. Channels overlap 1/2 in. and fastened to the studs with 1-1/4 in. long screws. 5. 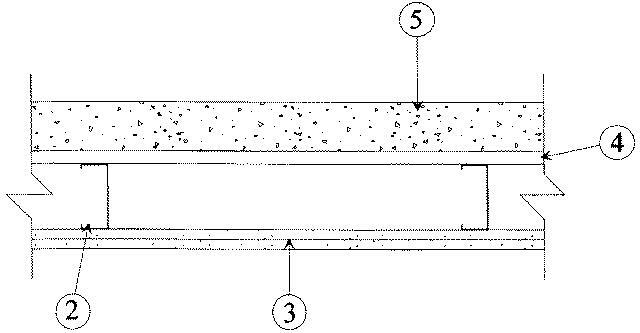 Precast Autoclaved Aerated Concrete — Min 3 in. thick and max 2 ft wide panels fastened to the furring channels with 2-1/2 in. long No. 14-10 hex head type self-drilling, self-tapping screws when fastened from the inside of building and with 4 in. long No. 14-10 hex head type self-drilling, self-tapping screws when fastened from the outside of building. Min 4 fasteners per panel per furring channel equal spaced starting 4 in. from each panel edge. 6. Thin Bed Mortar — A ANSI A118.4 Latex/Portland cement thin bed mortar applied to the joints of each panel.